Following the resignation of Dr Liam Fox as Defence Secretary on Friday, Prime Minister David Cameron has had to do a little of his own shuffling in the cabinet. Phillip Hammond has replaced Dr Fox, who resigned after the controversy surrounding his close relationship with Adam Werritty made his position untenable. 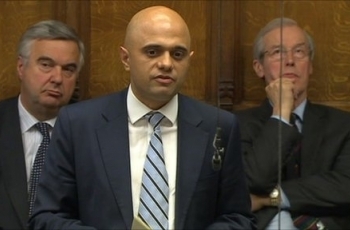 The most notable movement in the reshuffle was the promotion of Bromsgrove MP Sajid Javid, who has been made Parliamentary Private Secretary (PPS) to Chancellor George Osborne. Javid was previously a PPS to Skills Minister John Hayes but will now play a key role as the Chancellor's contact in the House of Commons and believes his banking background will be vital in his new role. “I was delighted and honoured to accept this appointment from the Prime Minister. My experience as the PPS to the Skills Minister, and my 20 years in business and finance prior to Parliament, will be valuable in my new position at the Treasury. Submitted by Yinka Oyesanya (not verified) on Tue, 18/10/2011 - 14:37. Congratulations and goodluck. Remember, the hard work has only just begun. Submitted by Yinka Oyesanya (not verified) on Thu, 06/09/2012 - 02:34. I wonder where Sajid fits into in this latest Cabinet reshuffle that is not truly representative of present day Britain. When is any British government going to set the right example to the nation by practising proper equal opportunities? This latest Cabinet reshuffle is a kick in the teeth of a proper democratic process. This generation of very poor leaderships (1997 to present) seem to think that the government and the law in general belongs to them, and they can continue to represent this country in the way that pleases them. These various leaders from Tony Blair to the present incumbent have the nerve to criticise the North African and Middle Eastern leaders? Black and Minority Ethnic politicians have got to stand up to the Prime Minister and all within all British governments from now and into the future who continue to practise politics in this very backward and racist way. This destructive and backward thinking behaviour does not bode well for the future of politics in the United Kingdom.